Size: Vänligen välj! 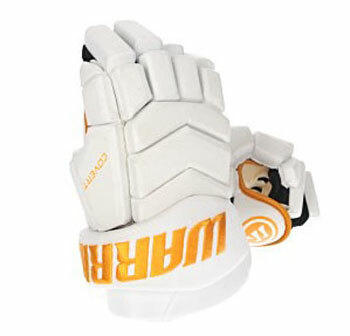 8" 9"
With the Warrior Covert Bambini team glove Senior you get the team model of the QRE series. This model can also be produced in your own team colors. Very good performance and good protection. Covert Gloves provide the perfect blend of fit and performance [/ b]. The complete protective pads have been spiced up and plastic plates on the back of the hand increase protection. In addition, the wrist protection provides additional security with nasty bats. * The glove follows the natural shape of the hand and wrist to maximize mobility and protection. * Effortless mobility bundled with anatomical protection for a tough game. Whether puck control, impact protection or shooting accuracy.